PlayFITStayFIT was founded by Jason Gordon with one hope to bring affordable fitness to the Roanoke Valley for kids. Jason is a K-5 elementary PE teacher and wanted to bring that passion to his own fitness facility. PlayFITStayFIT, began utilizing space from Ferguson Fitness and home made equipment in December of 2015. Offering workouts to children only we began our journey. Using that time to build up, buy marketing material, equipment, and other items needed to run the business 3 months later we launched in the upstairs of Tanglewood Mall. In Tanglewood, we began a strict schedule offering general fitness classes to the valley’s youth. With this going very well as a kids only gym we evolved it to a family gym to allow the parents who were sitting and watching their kids workout to join in. This lead us to needing to purchase more equipment, heavier weights, and adapt our training program for a variety of levels. Being on the top floor of Tanglewood and having heavier weights hit the floor it quickly became apparent we needed to be on the bottom floor to not disturb our lower neighbors. Moving to the bottom floor gave PlayFIT a rare opportunity to offer classes inside the mall at 5am because we had our own outside door. 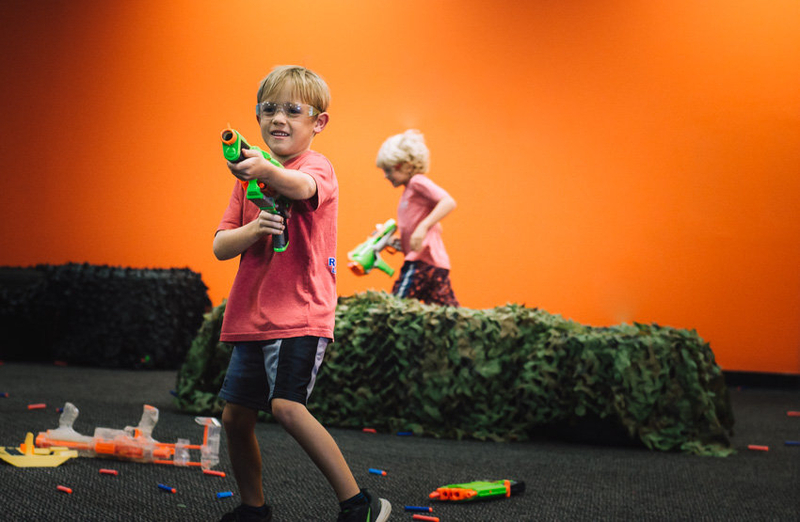 PlayFIT was still evolving over this time from a mainly kids and family facility to a Adult gym. The Kids only gym was unfortunately no more. PlayFIT was able to sustain an adult and kids gym from that point forward. In the Summer of 2017, we moved out of the mall with the uncertainty of its fate with the new buyers. 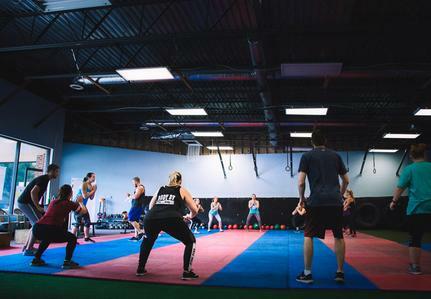 Our Facility now resides at 2169 Bennington St. We offer over 30 small group class times per week. 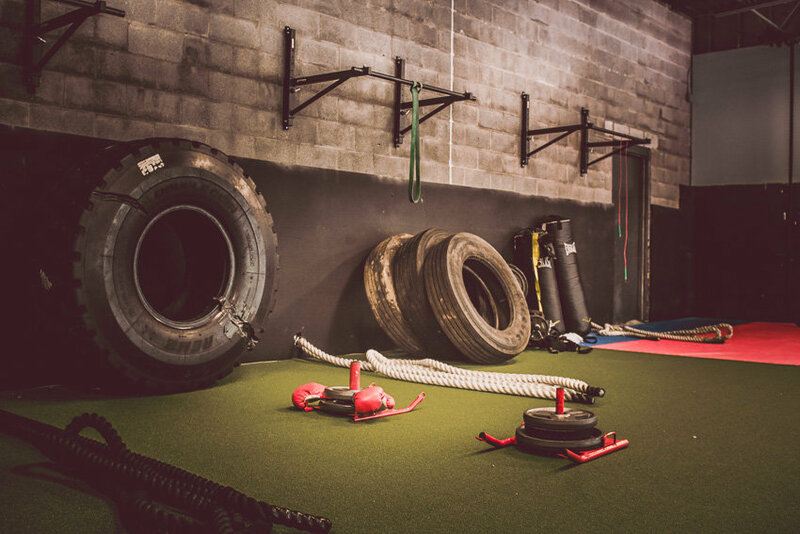 We have 3 personal trainers who offer a wide variety of different skill sets. Free childcare is now available at our 4,5,and 6pm classes Monday-Friday. 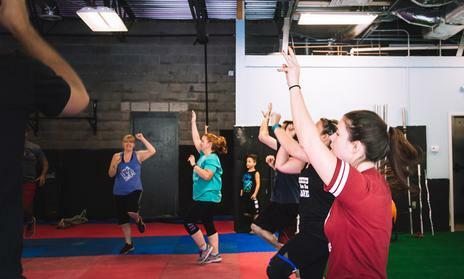 PlayFIT has also since our move adopted a HIIT format to concentrate on high reps and low weight movements to maximize caloric burn, help with toning, weight loss, and overall fitness levels. What makes our gym different?? That is a simple answer, THE CLIENTS. We have the best clients any gym could ask for. They are welcoming, encouraging, and help take the stresses of joining a small group away. Our clients each have different backgrounds and stories on their “WHY”. Support matters. And our mantra is to provide you as much support as possible as you solidify your healthy habits. Our trainers are very accessible to our clients, and offer consultations, as well as body composition tracking. At PlayFIT vs a “Big Box Gym” we are able to be accessible more often to our clients through text, messenger, and email. We make ourselves available for nutritional help, One on One training, fitness advice, home or vacation workouts, etc….